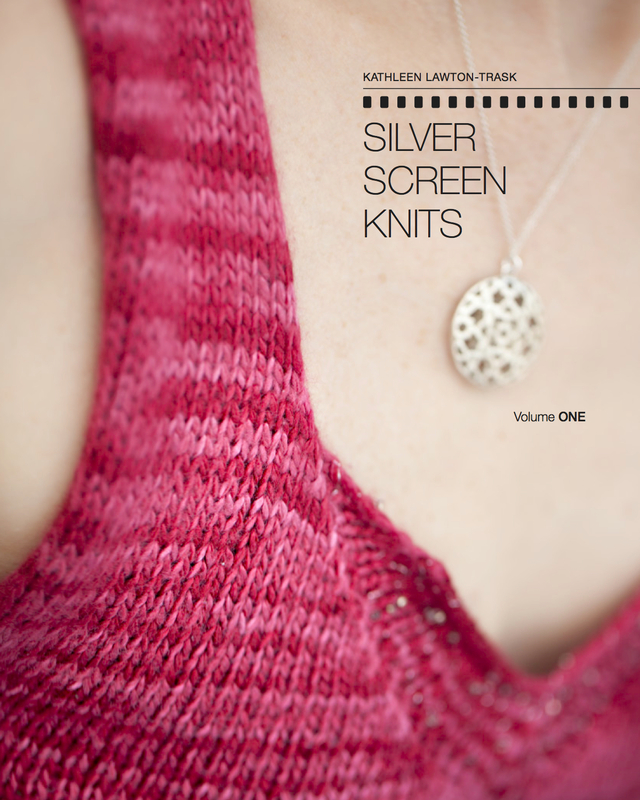 Knitting in the Shotgun Seat… | Knit Like You Mean It. 3. Sitting in Mr. Trask’s car while he drives us somewhere, knitting up a storm. It’s that third one that has me thinking, and it’s all because of my favorite mechanics, Click and Clack, the Tappet Brothers, Tom and Ray Magliozzi — in a word, The Car Talk Guys. I love these guys, and it’s not about the content. It’s about the presentation. I love it when someone calls up and says, “Yeah, my car’s making this noise like ‘GUH guh duh, GUH guh duh,’ but only when I’m reversing, and my wife doesn’t believe it’s happening, so we haven’t been to the mechanic” and Tom and Ray say, “Oh, sure, that’s the foggratecearates arates,” or whatever it is, and they all live happily ever after. I love it, too, when they solve their callers’ other problems. Anyone remember the one where the caller had a crush on her mechanic? Classic! That one’s got my vote for Stump the Chumps. I have been tempted to call Tom and Ray for years myself. I feel sure they can solve a problem that has been plaguing Mr. Trask and me since our first winter together. It involves a snow drift, a DC driver who borrowed her new boyfriend’s car, and a license plate holder. If you’re really nice to me I might tell you about it later. At any rate, over the weekend Tom and Ray discussed one nervous knitter’s conundrum: is it safe to knit in the car if your car has airbags? Rant over; if you listen to the segment (about 10 minutes in if you’re podcasting) you’ll learn that Tom and Ray are honest (and unsure), as well. Anyone have thoughts? Consider where the airbag will hit if it goes off. 25 mph is a heck of a hit, and one woman had her knitting needle go into her heart just from falling down on it. (It took heart surgery to remove it.) 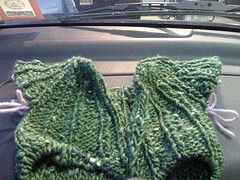 I rarely have a chance to knit in a car now but when I did, I held the needles very low on my lap, at an angle where they won’t have an end pointing at me. Goodness. Thanks for the tip, Tamar. I wasn’t able to find a story about a woman falling on her knitting needle online, but doesn’t mean it didn’t happen…I’m glad I usually use plastic or bamboo needles. I heard Car Talk this weekend as well, and decided that given the options, I’d take my chances knitting in a car. Odds are good you won’t be involved in a accident anyway, and what is life without your latest WIP?